Microsoft has announced it will shut down its MSN TV platform, the connected set-top box that married the TV and the web long before the likes of Google TV, Apple TV and Roku arrived on the scene. The service, created by developer and eventual OnLive founder Steve Perlman as 'WebTV', was snapped up by Microsoft in 1997 for a whopping $425m (UK£285, AUD$468). 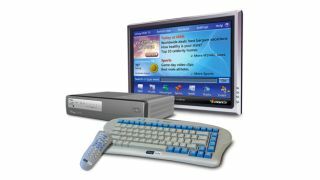 The box, which came bundled with a keyboard and remote control, allowed users subscription-based access to the web, emails, Messenger and to view photos, listen to the radio and more. However, increased competition from the likes of AOL TV and a general lack of appetite for the web TV experience at that stage meant the device never truly fulfilled its potential. Now, 16 years after picking up the platform and feeding its technology into the likes of the Xbox 360 console and the Mediaroom IPTV unit, Microsoft is officially shuttering the service on September 30 2013. The tech will live on with the Xbox One, which will join a fully-fledged smart TV era as a super-connected games and entertainment console this November. In a brief announcement on the MSN TV homepage, Microsoft simply wrote: "The MSN TV service will be officially closing on September 30 2013. If you are an MSN TV subscriber click here to read the Closure FAQ on what you should do before the service ends. You will also receive an email and letter providing more information." Current users can save their MSN TV data by transferring it to SkyDrive. As Microsoft bows out, in a way, Intel is stepping in. The chip-processor's IPTV proposition is set to launch this year.